In 1964, The Episcopal Preschool was founded as the Episcopal Parish Day School. Begun as a kindergarten program for 5-year-olds, the school’s original purpose was to provide a nurturing climate of creativity and learning for young minds. In the late 1970s, the school’s enrollment was expanded to 3- and 4-year-olds, and again in 1986 to include 2-year-olds. The school now operates exclusively as a preschool, but the mission to provide outstanding early childhood education remains the same. In January 2004, the preschool incorporated as a 501(c)(3) corporation and became The Episcopal Preschool, Inc. 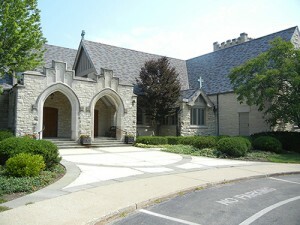 The school is licensed by the state of Illinois and is a member of the National Association of Episcopal Schools. Today, The Episcopal Preschool operates under the direction of Melissa Cunniff and is overseen by an appointed board of directors. The school now prides itself on offering a highly sought-after morning preschool program, enhanced by a lunch option and enrichment classes.